Students are often surprised by how strict Australian Customs Services and quarantine can be. If you're in doubt about whether your goods are prohibited or not, declare it anyway on the Incoming Passenger Card which you will receive on the plane. Students have received on the spot fines for not declaring items. Learn what items you can and can’t bring into Australia by reading the Department of Agriculture and Resources Studying in Australia: Australia's biosecurity requirements guide. Baggage allowances flying into Australia will vary according to your carrier, flight class and country of origin. Please check with your carrier prior to departure. Economy passengers are generally permitted more for international flights, as compared to domestic flights within Australia. 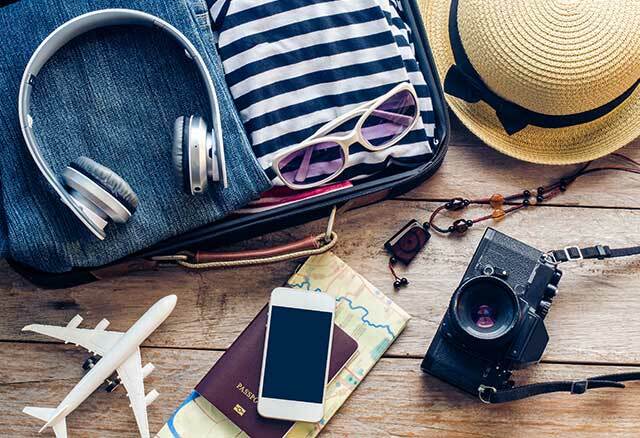 This will significantly limit the number of things you can bring, especially if you will fly within Australia to get to your final destination. Therefore, it is essential to think the packing process through very carefully. You will be able to purchase most things upon arrival in Australia but the price may be higher than in your own country. Address details of your intended accommodation and any key contact people (e.g. relatives, friends, university contact details). On most campuses, students usually dress informally. Jeans or pants with t-shirts or blouses and sneakers are an almost standard dress. Shorts are often worn during the summer months, and sandals are the most common footwear. It is acceptable and common for both men and women to wear shorts and sleeveless t-shirts, particularly during the hotter months. A sports coat or suit and tie for men and appropriate dress for women is necessary for some functions such as formal dinners, a graduation ceremony, student dances or balls. For festive occasions, you may want to bring traditional dress and accessories. Travel plug/adapter to suit Australia’s 3-prong, 240V power points. Pictures of your family and friends. You will need to make sure you have enough funds to support you when you first arrive. It is recommended that you have approximately AU$3 000 available for the first two to three weeks to pay for short term accommodation, transport and set-up costs. You should bring this money as a combination of cash and a prepaid or international credit card that can be accessed in Australia. Please note that it is not safe to bring large sums of money with you! Lost credit cards can be replaced, but very few travel insurance companies will replace lost or stolen cash. You may also want to set up an Australian bank account prior to your arrival and deposit money into it while you are still in your home country.